to join us for the 2019 Indiana Media Tour of The Children's Museum of Indianapolis & Fort Wayne, Indiana. The Children's Museum of Indianapolis, The Indiana Media Marketplace, and Fort Wayne, Indiana! over the upcoming travel season. Upon arrival in Indianapolis, you will be treated to dinner out with the Children's Museum of Indianapolis. On Tuesday, March 19 you’ll get to explore The Children’s Museum of Indianapolis, new 7.5-acre Riley Children’s Health Sports Legends Experience and NAMOS (National Art Museum of Sport) all day! Dinner that evening will be provided by Indiana Foodways Alliance and Anderson Madison County CVB. Includes transportation to Indiana Media Marketplace Wednesday morning. FREE Media Marketplace – a one-stop networking opportunity to speak with more than 30 travel destinations across the Hoosier state. Seize the opportunity to ask questions, uncover new perspectives, share your professional passions on travel and open the door to Indiana adventures. Lunch and event provided by Visit Indiana. 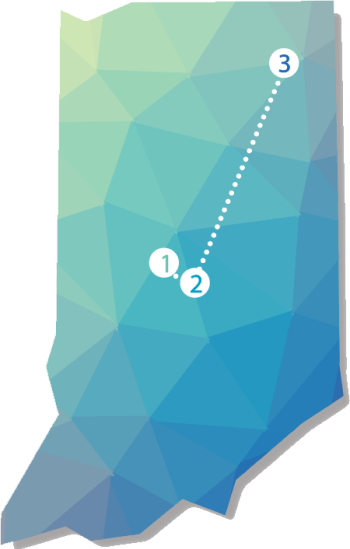 Our goal is to serve as your partner in communicating Indiana’s story. Transportation to Fort Wayne from Indiana Media Marketplace. 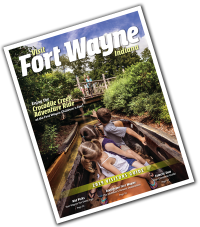 In Fort Wayne, Indiana’s second-largest city, you’ll discover two days of fun experiences including a hardhat tour of the new exhibits at the Fort Wayne Children’s Zoo, a tour of Fort Wayne’s new Promenade Park riverfront experience, and a VIP experience at the Vera Bradley Design Center. In addition, you will be treated to fine dining experiences and a tour of Fort Wayne’s walkable downtown attractions! Fort Wayne and the Children's Museum of Indianapolis will cover your transportation, accommodations, dining, and itinerary. Reserve your spot today. Please RSVP by March 4 by completing the form below. Please enter your information below to reserve your seat.